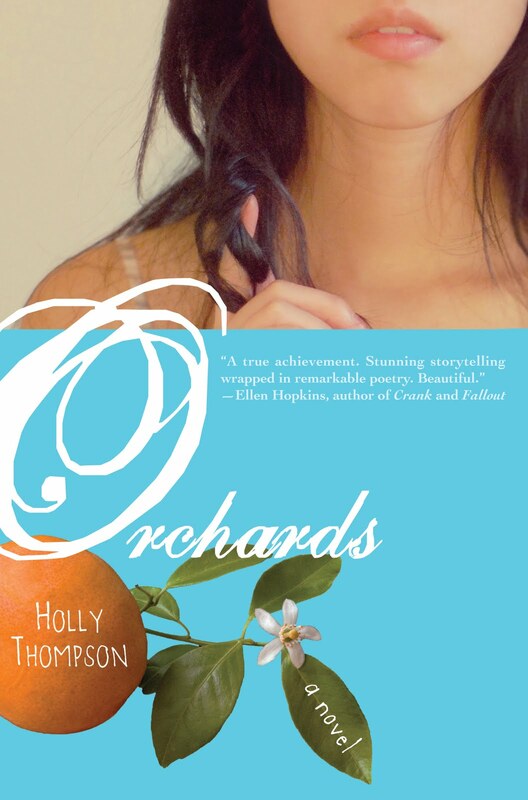 Orchards (Delacorte, 2011) actually developed from research for an adult novel set on a mikan (mandarin orange) farm in a Japanese village. I’ve lived in Japan for sixteen years, and I’d written an article years ago on female migrant laborers in Kanagawa Prefecture. 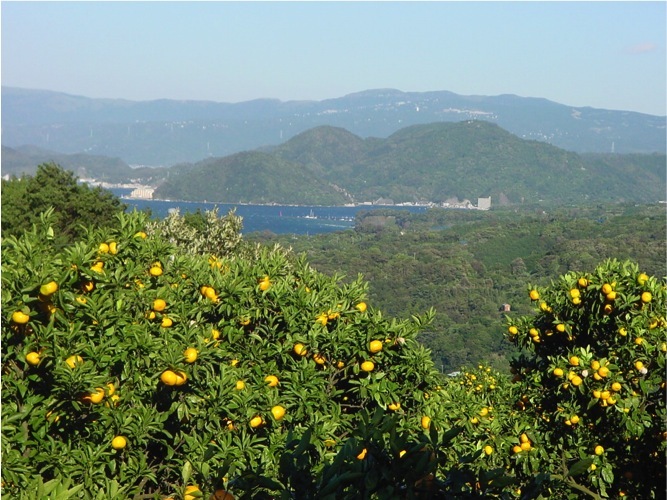 From that experience, I’d drafted a short story about an American woman marrying into a Japanese mikan farming family, but the story threatened to become a novel. So after my first novel, Ash (Stonebridge, 2001), was finished and published, I decided to tackle this adult mikan farm novel. Did I know anything about mikan cultivation? Did I live in an agricultural village? Even more absurd, I imagined the ideal village setting for my novel then set out to find such a village. I studied maps and searched Japan coasts within a couple hours from home, and by chance one weekend when I was camping with my children, I happened upon a mikan growing district—with its telltale slopes of terraced groves—amid finger-like valleys on the northern coast of the Izu Peninsula. I’d stumbled upon my perfect village. But in Japan, connections are everything. You can’t just waltz into a village and expect a welcome. I asked friends and colleagues and my husband’s friends and colleagues if anyone knew anyone in that tiny corner of Japan. Ultimately, through one of my husband’s former colleague’s husband’s elementary-school friend’s wife’s journalist friend’s cousin’s friend’s cousin (whew! ), I was introduced to a farm family in the village, and I arranged to work with the farmer for a year, learning everything I could about mikan cultivation. That year morphed into 18 months, with me traveling from my home to the farm (about two hours each way) once or twice a week. I’d depart at 5 a.m. or 6 a.m., work a full day at the farm, drive home, then deal with kids and homework and teaching responsibilities. At the farm I learned planting, grafting, pruning, harvesting, storage, shipping…. 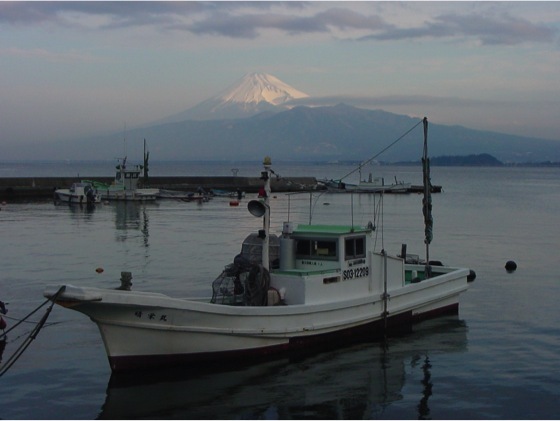 I loved the work high on hillsides overlooking the bay and Mount Fuji. 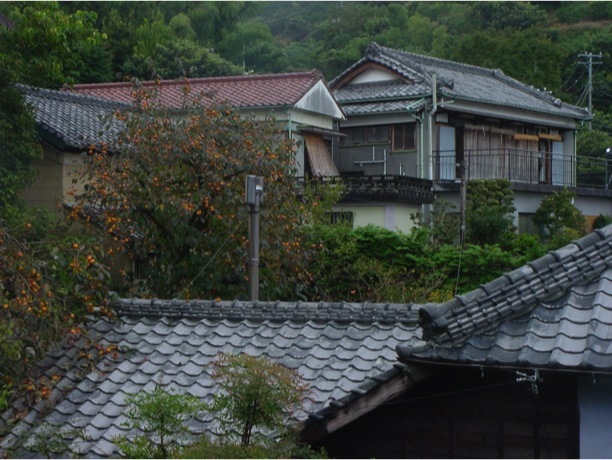 Eventually, tired of commuting, I rented rooms in a neighboring village and moved there for several months with my daughter who attended the district elementary school. My absurdly supportive husband went along with this arrangement. About a year into my mikan work, the farmer’s American-born niece visited. By then I felt at home in the village, and it was intriguing to see the niece, an insider by blood, clearly feeling like an outsider. I began to think of a YA story of a bi-cultural girl sent to a mikan growing village for the summer. That explains the setting, and the seed for my character, but the plot of Orchards derived from darker, sadder experiences—the deaths by suicide of a friend’s fourteen-year-old daughter after she’d been ostracized and bullied; of my brother-in-law; and of a dear friend’s wife. Suddenly I was aching to write a story in the voice of a survivor trying to make sense of things, a survivor coping with grief, anger, fear, despair and identity all at the same time. I set aside the adult mikan novel, and put all my energy into creating the character of Kana, a bi-cultural girl from New York sent to her grandparents’ farm in Japan after the death of a classmate. Orchards was a tough story to write. I consulted counselors and survivors. I wept my way through every draft as I forced myself to get inside Kana’s head. I overwrote then scaled back trying to distill the verse. My hope is that through Kana’s story, dialogues will open up in classrooms, in homes, and among friends about the issues that Kana confronts—bullying, teen depression, suicide prevention. And I hope that as they follow Kana through her summer at the farm as she addresses her dead classmate, readers will take a journey and dip their toes into the world of a small Japanese farm village. Book trailer by Ellen Yaegashi. This sounds like a book to put on my Christmas wish list! Wow. At first glance, I thought Orchards was a book to pass on. But I read about your experiences in Japan and watched the trailer and I'm enthralled. I just put it on my to read list. Thanks. Thank you for this fabulous article - talk about dedication to research. And highly potent reasons for choosing the narrative. I hope Orchards is read by the huge audience it deserves - and contributes to making people more aware of the effects of bullying. Now that's research! I so love reading the story behind the story. Holly's description of the birth, growth and coming of age of this novel, and how hard and yet essential it was to write, truly makes me want to read it. Love this post. Thank you. Ashley, good luck with that draft! We're rooting for you. Laurisa, I'm thrilled that we changed your mind. Happy reading! Marjorie, I'm so glad you enjoyed the article. Word of mouth is powerful; let's make sure everyone knows about Orchards. Joanna, thank you for the lovely comment. You're a gem! Great interview Holly. I didn't realise how long you dedicated to your research. Wow! Thanks for chiming in, Claire! Isn't it a remarkable story behind the story?